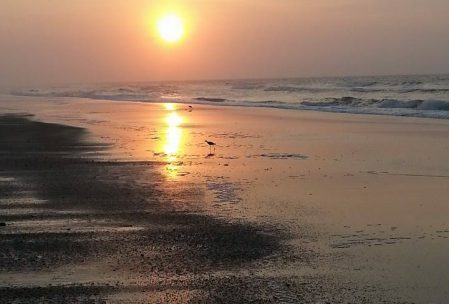 Last month, one of our MilitaryFares.com site visitors suggested that we take a look at the Onslow Beach on Camp Lejeune in North Carolina. This month, we did just that. And before we begin, we’d like to thank Gary H. for taking an interest in our blog and Facebook page and encourage others to do the same. If you have a favorite place that you’ve visited or know of intricate details about a place we’ve reviewed, please let us know. We welcome the input as we try to provide interesting information for our military travelers! ocean waves. Note: Onslow Beach is on a military installation—so DOD stickers are required for your vehicle. If you don’t have one you will need to proceed on the route given for the Main Gate entrance. Onslow Beach is a year round beach, but it does get cold, as does many beach locations, during winter months. The beach does have Campgrounds and RV stations, but visitors may need to call in advance to reserve your accommodations. Peak season is usually from 1 April to 31 October. During that time stays in the several available lodgings may be limited to two weeks at a time due to demand. But, you can book a return visit after two weeks away. Those restrictions may not apply during off season, but you should call to verify. 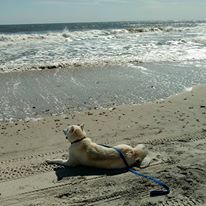 If you have pets, they are welcomed on the beach in designated areas and several of the rental units welcome pets as well! There are some restrictions concerning unattended pets and you may want to inquire when you make your advance call for reservations. Cottages and lodges have been renovated over recent years and are very convenient to accessing the ocean. Onslow beach is only 18 miles from Jacksonville, NC and about 36 miles from the Croatan National Forest in Havelock, North Carolina. In Jacksonville, you can take time to visit the Veterans Memorial, Lejeune Memorial Gardens, pick up something at the local flea market or antique mall, or schedule a boat tour. There are several restaurants, bars, grills and entertainment spots to frequent while you are there as well. Should you decide to head out to the Croatan National Forest, you won’t be disappointed. Among other things, they have climbing, fishing, hunting and hiking all within a couple hours’ drive of your beach getaway! 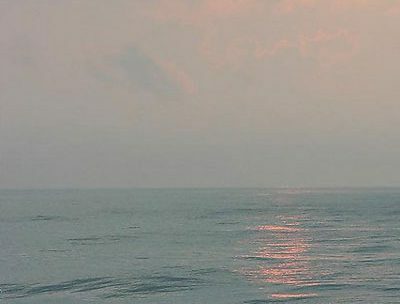 Onslow Beach and surrounding areas are a great place to visit and should be considered as a travel destination. We are glad that it was suggested as a review. Now, go to www.MilitaryFares.com and search for tickets! Destinations are waiting for you!